You spend hundreds of dollars on your Laptop, so it makes sense that you want it to last. Yet when you need to be mobile, you toss it into your backpack to mingle recklessly with your keys and loose change. So how do you protect it from scratches, dents, and dings? The answer is to give it a second skin, or more precisely, a vinyl skin. 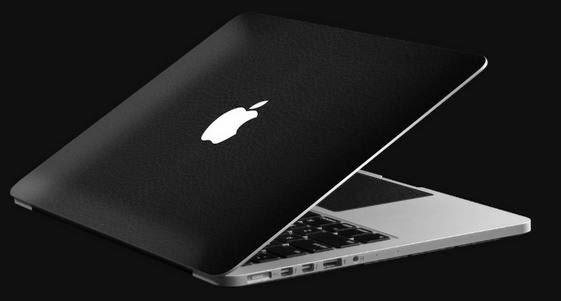 For a high-end laptop like the MacBook Pro Retina 13, a skin can provide the ultimate in lightweight protection for your computer. A vinyl skin attaches directly to the computer and provides maximum protection and grip – much better than a case that adds bulk. This article provides detailed guide on How to Protect Your Laptop with Custom MacBook Pro Skins, Cases and Covers. You want your MacBook Pro Retina 13 skin to be as fitting to your personality as it is to your laptop, but not all skin companies live up to their claims. Some of the skins available are not much more than expensive stickers, leaving a nasty adhesive residue when they peel off of your MacBook. Others are thin and weak, ripping as soon as you apply them. Then there are the ones that make a claim to have the best fit, only to hang over the side of your cover or block your USB-C port. So how do you find a skin company that’s cream of the crop? With a little bit of research you can find a skin company that fits your style, pocketbook, and computer. First, look for the right fit. Knowing the model of laptop you have is pertinent to finding the perfect fit because size does matter – a lot. Two inches can be all the difference in the world, so something that fits a MacBook Pro Retina 15 won’t be suitable for youbetween a MacBook Pro Retina 13. A skin provider needs to cut their decals to the exact measurements of your particular laptop. To maintain your MacBook’s full functionality, your skin needs to fit around the Thunderbolt 2 input/outputs and every other port. Next, consider the material used in the skin. 3M vinyl is far superior to other skins because it doesn't leave a sticky residue if you decide to change your skin. It’s also tough and doesn't tear easily, withstanding heat and humidity unlike other materials. 3M vinyl is the same material used for vehicle wraps, so you know it will withstand the elements. Lastly, consider the price. You want a Apple MacBook Pro Retina 13 skin that’s not going to cost you an arm and leg (you paid enough for the laptop); but you also have to be able trustit to protect your prized possession. If the price seems too good to be true, it probably is. When you shop at dbrand, their reasonable prices reflect a good balance between cost and value. For less than $50, you can entrust their skins to protect the top, bottom, and trackpad of your Pro Retina 13. Check out dbrand.com/shop/macbook-pro-retina-13 to see the selection of 3M vinyl, custom-fitted MacBook Pro Retina 13 skins they have on their site. When outfitting your MacBook, look for quality, fit, and superior 3M vinyl construction to ensure skin will be as impressive as the operating system it protects. With these tips, you’ll be sure to find a custom fit to protect your computer.